Valentine's Day is just around the corner and for me, it was love at first sight when I saw the So Punny collection. 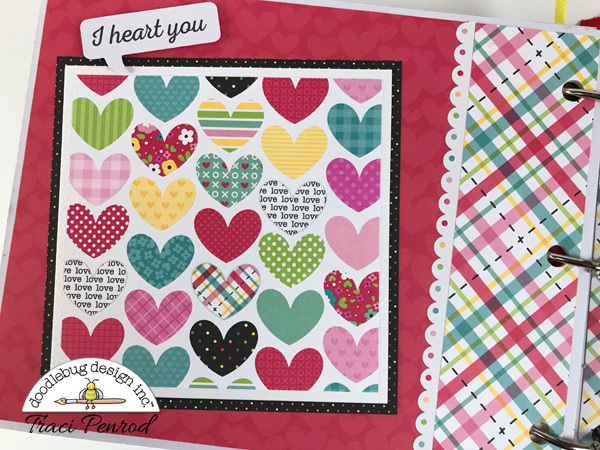 Making a Valentine mini with these colors and darling die cuts was so much fun. 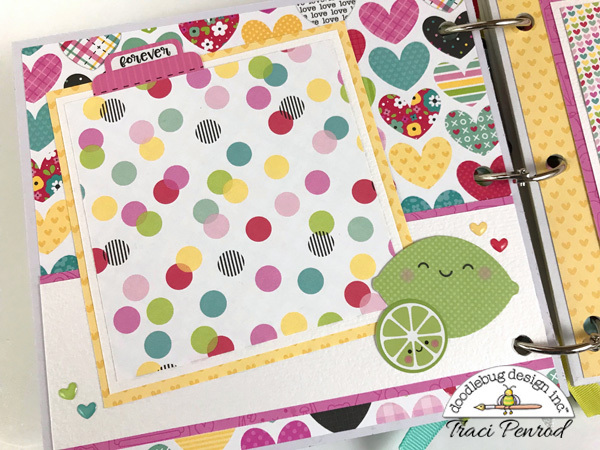 I decided to create a waterfall style album so that all of the yummy papers could really be seen. I think that little clock is my favorite sticker, but I'm "cuckoo" for all of them so who am I kidding? And this time there are TWO icon sticker sheets ... more to LOVE! Those new 3x4 cards are also awesome!! 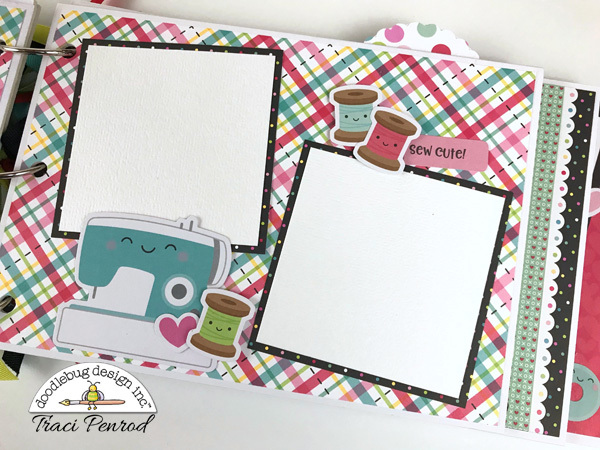 Love them for pocket scrapbooking, cards, and of course, mini albums! 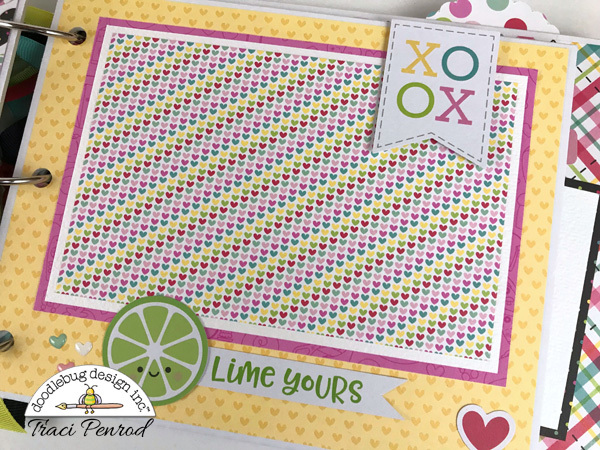 That little scallop border sticker from the This & That sticker sheet is also a favorite ... I wish I had a whole sticker page of those!! 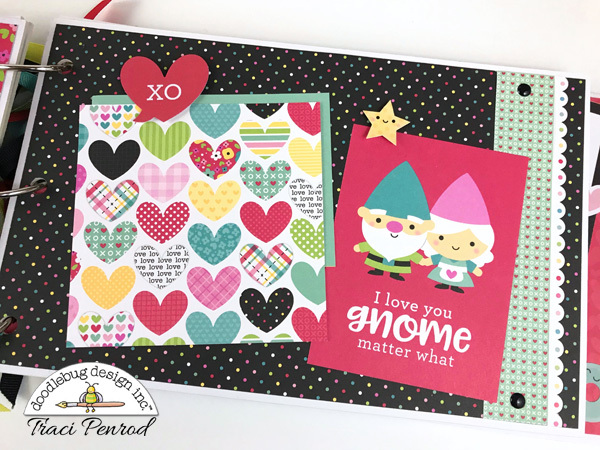 Thanks for stopping by and letting me share my Valentine mini with you! This is fabulous Traci!! Love the graduated sized pages!